Willbecoded.ca is a company which offers some of the best PPC services in the country – we have many solution-oriented experts who can all boast more than ten years of experience in Google Adwords campaigns and PPC management services in particular. In addition to this, we also offer twenty-four-hour support and availability, total confidentiality, and great flexibility in terms of what people need from their product and from us. PPC is an acronym which stands for Pay Per Click, and it is a relatively new form of marketing where the advertiser is the one to pay for marketing. 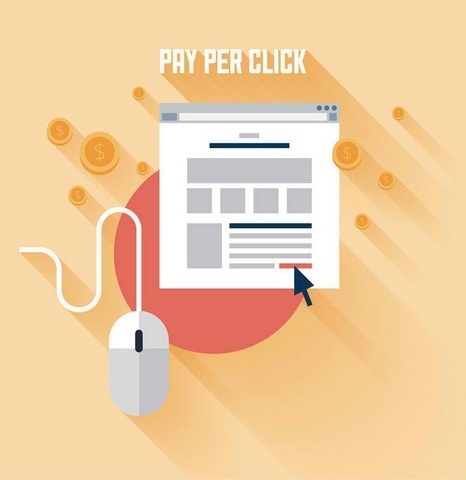 A PPC campaign normally takes the form of adverts which appear in certain places, and the group or company pays a small fee every time the advert is clicked on. This type of marketing is generally seen as a way of buying visitors to a site. One of the most common ways for PPC agencies to set up a campaign is to use search engines. Such a campaign uses certain keywords which, when flagged, prompt the advert to appear in the ‘sponsored links’ section of that search. Pay-per-click is immensely useful for snaring a good position in search results. Anybody can tell you that search results are useless unless you are on the front page, preferably in the top five. As a PPC specialist will tell you, using a PPC management company is one of the best ways to bring new traffic and customers to your online presence, and if you invest enough money, pay-per-click searches can be launched and appearing on searches in less than an hour. PPC is also easier to use than many other forms of marketing which are already in common use, with special emphasis placed on being able to track exactly how well your adverts are doing, and what the ROI is. Any reputable Pay-Per-Click advertising agency will be able to track everything in the campaign, from keywords used to the last penny spent on clicks. Therefore, PPC in Canada is essential to a modern business which wants to make the most of the advertising potential of the Internet. While pay-per-click is an excellent way of both marketing your company as a whole and of bringing your company onto online search results in a way that perhaps wouldn’t have been possible otherwise, it requires focusing on a number of different areas. 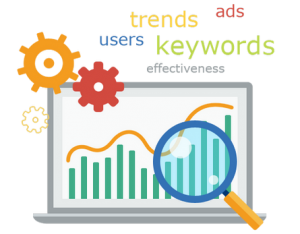 The proper keywords must be used and monitored constantly to make sure that money isn’t being wasted on advertising which is not returning the expected results. If not done properly, a PPC campaign can be very inefficient. Our PPC company will take charge of the entire advertising, and will most likely begin by setting up an account in which all the necessary information can be kept. Accurate keywords are an important part of proper PPC usage. Our PPC management in Toronto will cover all aspects of keyword research, including initial research, the assigning of certain keywords to specific searches, and any future recommendations for the changing needs of the company. The adverts which will appear in people’s searches are almost as important as the keywords which make them appear. Writing a good advert is something will be handled by us, as PPC for Google will be different from other search engines such as Bing, for example, and therefore will need different adverts. As well as adverts and keyword research, our company will also write code to allow them to see what each advert is doing and how well it is performing. Carrying out split testing will allow us to measure website metrics, and see how the campaign is doing. A PPC campaign can change on a monthly basis, so while handling your campaign we will take monthly reports and make recommendations based on how well it is progressing. Daily monitoring of adverts will help everyone involved keep up to date on how the campaign is doing, and how well one advert is doing over another. The company will provide reports of how the adverts and a campaign overall is functioning. Why Should You Choose Willbecoded.ca? Willbecoded.ca is one of the best PPC companies in Vancouver, offering employees and specialists who have over ten years of experience in their fields, and a combined project list which contains over two hundred projects. The company serves all niches of business, being able to cater to both individuals and large companies.